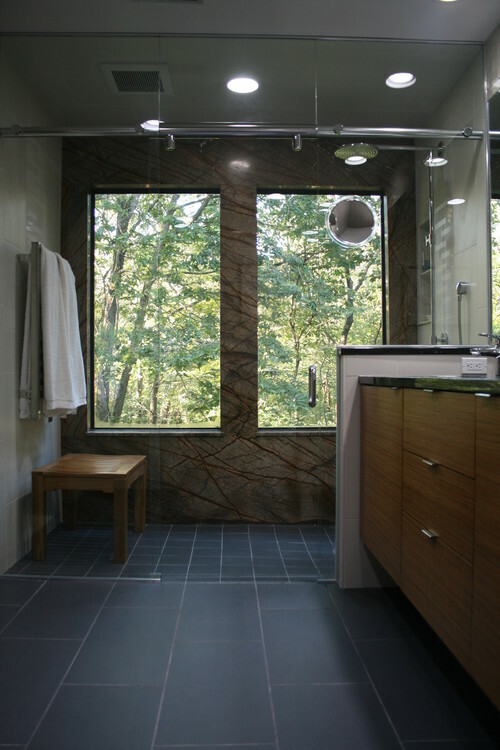 Slab showers are one of my favorite things to do in a home. They are stunning and unique. I'd do one in my own home just so that I wouldn't have grout to clean. Today I have 10 beautiful slab showers to show you. This first shower is my favorite of the day. 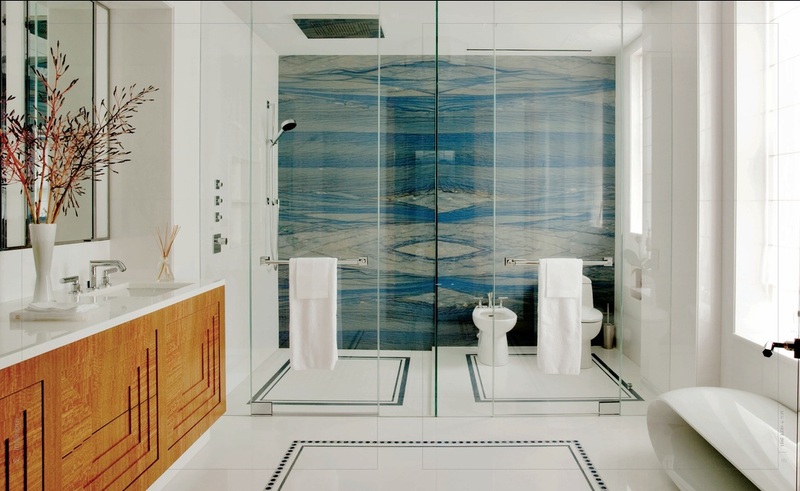 The slabs are Azul Macauba quartzite that have been bookmatched. 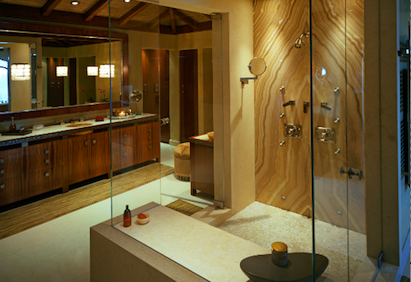 By keeping everything else in the bathroom relatively simple this slab shower is definitely the focal point. This next shower has two slabs of stone that are bookmatched. I'm not positive, but these slabs are probably a quartzite, but may be onyx. 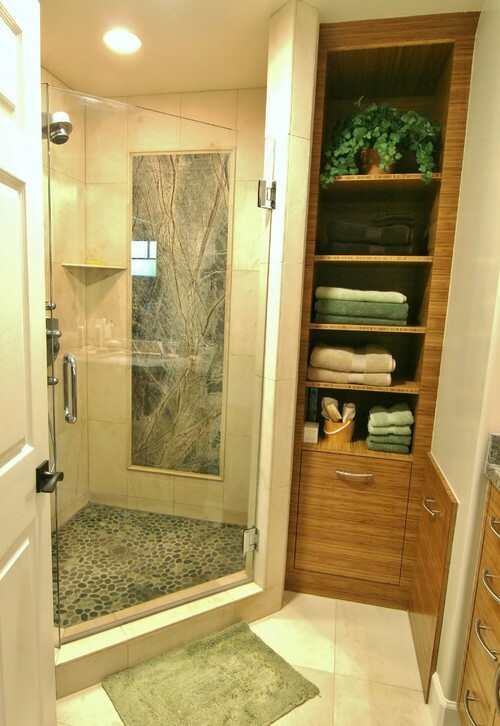 By using it on just one wall of the shower it makes a statement without being too much. 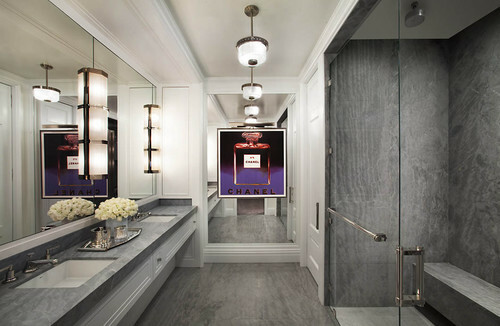 In this bath they used the same stone on the floor, in the shower and on the vanity countertops. The linear granite in the photo below is Verde Bamboo. I like that they used the lines vertically, usually I see them run horizontally. 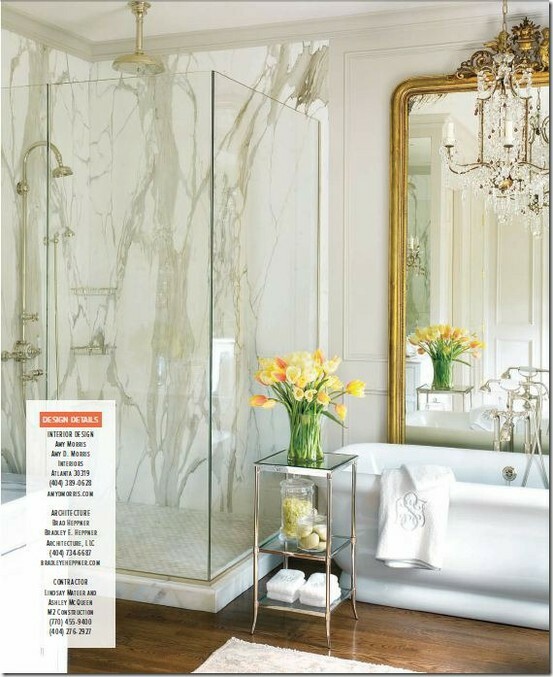 Check out this amazing Calacatta Gold marble shower. 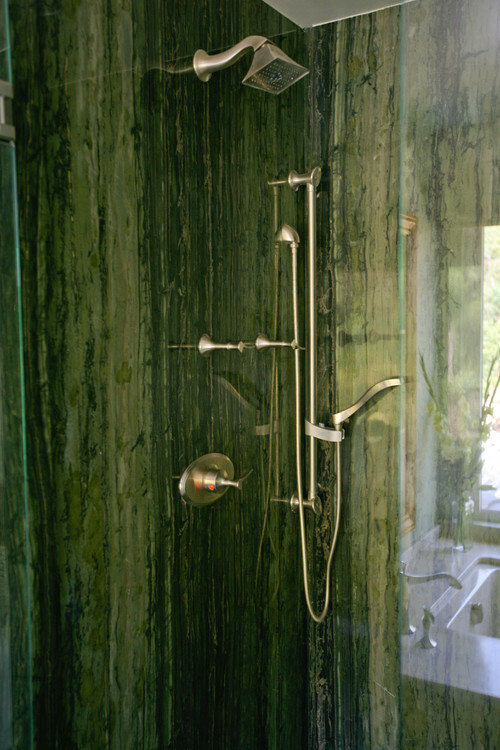 I like how they "framed" the Rain Forest Green marble in this next shower. It works since this stone looks just like a piece of art! 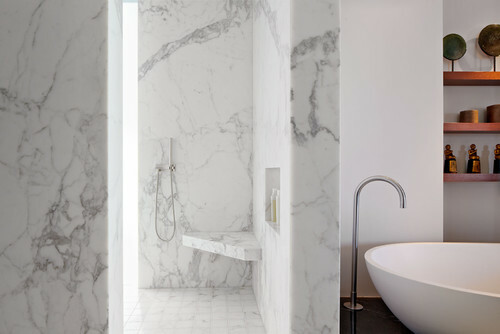 These next three baths are nothing short of stunning. 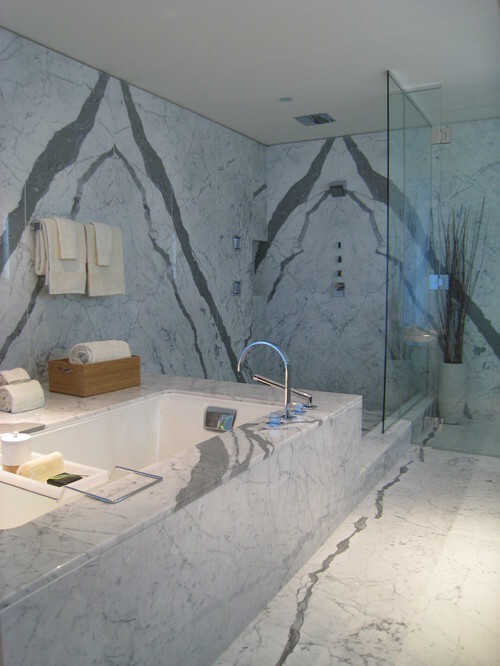 I couldn't even guess how many full slabs of marble they used. Aren't the windows in the shower amazing? I'd love them...as long as there isn't a neighbor's home in sight! :) The marble is Rain Forest Brown. I've posted about Slab Showers here before. You can see that post here.